The story of my fourth dress is colorful and this is how it goes. 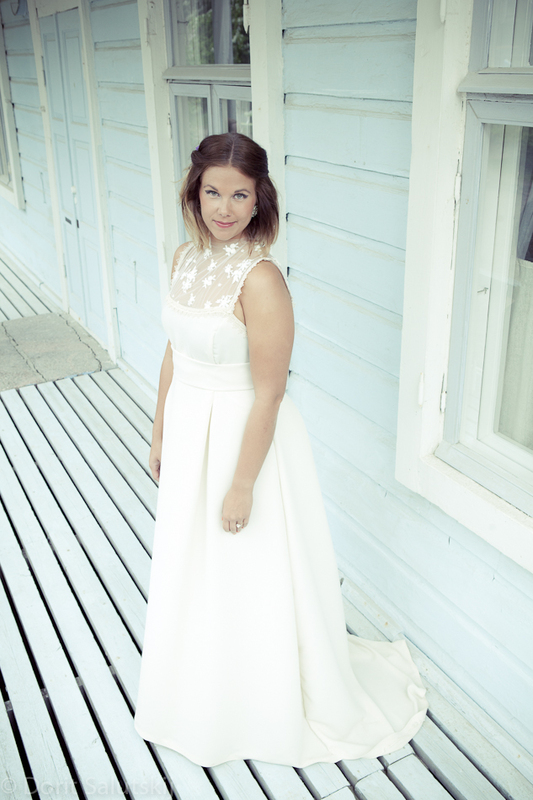 Last year I did a dress called Odessa A. I still had that same fabric left from Odessa A and I thought it might look nice as a wedding dress. I had this idea of a one sleeve dress but it got too short and it didn´t fit well. So I cut the dress and..
started all over again. This time I added some lace to this dress and changed many things. But then again the dress wasn´t the way that I wanted it to be and so Linda mistake shirt was born. Now my fabric was gone but luckily I found some nice creamy colored polyester fabric from fabric store Eurokangas the lace was found from there too. 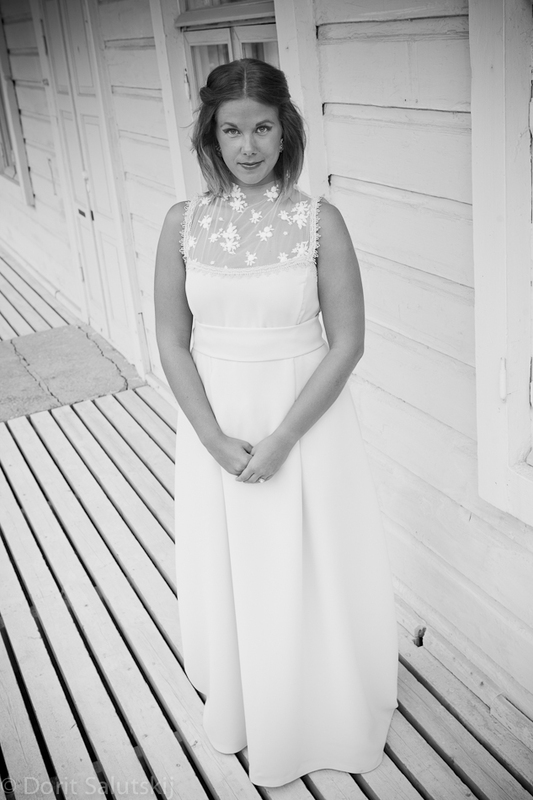 I guess this Adele wedding dress is one of my favorites from all the dresses I have ever made.